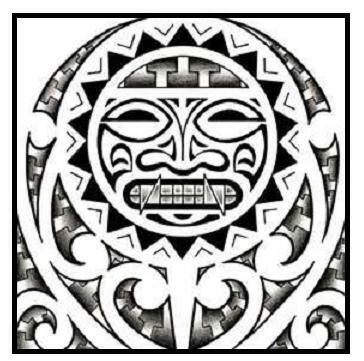 This page provides examples of free printable Aztec Tattoo Art. 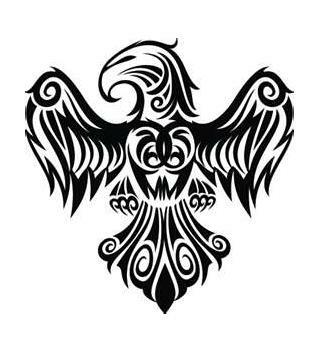 The Aztecs were a group of people who lived in and around what is now Mexico City during the 14th, 15th and 16th centuries. The Aztecs were conquered in 1521 by an army of Native Americans led by Hernan Cortes. Aztec art refers to the symbols, forms and pigments found on artifacts from that region of central Mexico. 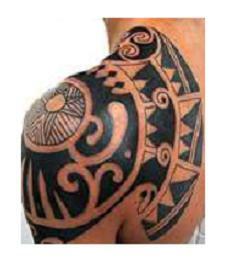 Aztec symbols are popular subjects of modern art and especially tattoo art. The style that is recognized as Aztec art seems to be characterized by a prevalent linear complexity, circular symmetry, and strong facial expressions. To print any of the images shown here, just right-click on any image and select a SAVE option from your drop-down menu. This will save the image to your picture file, from where you can alter the design to make it uniquely your own. 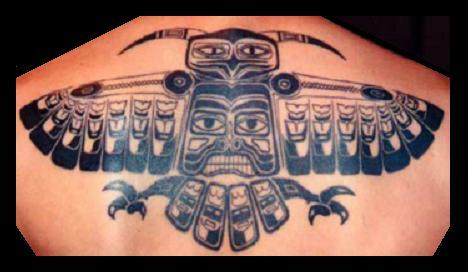 Aztec art is considered to have been used primarily as a form of religious worship. Most known Aztec artifacts are clay pottery and stone sculpture. There also must have been textiles and other delicate materials used by Aztec artisans. However, these less sturdy artifacts did not stand the test of time. Aztec artistic creations also include masks, warrior art, and pictographs representing early written language. Materials used in creating Aztec art often included gold, turquoise, jade, silver, copper, feathers, and natural pigments derived from plant and animal matter. Mosaics were another popular form of artistic expression among the artisans of the ancient Aztec civilization. 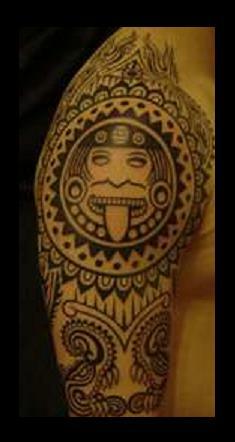 Recurring themes in ancient Aztec Tattoo Art include animals, Idols, and geometric shapes. 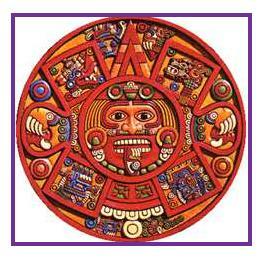 The most popular representation of Aztec art is the Aztec Sundial. The Aztec Calendar Stone is a gigantic sculpture that weighs 22 metric tons and measures twelve feet in diameter. The face of the sun god is carved in the center of the stone. Another important surviving work of ancient Aztec art is a basalt corn Goddess, currently housed in New York City's Metropolitan Museum of Art.